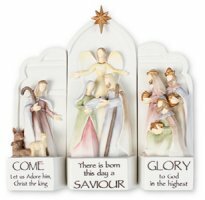 Nativity scenes makes a beautiful ornament to celebrate Christmas, direct from your Lourdes catholic gift Store. Apparition Pyramid Christmas Tree Decoration with Crystal Rosary Beads. Miraculous Pyramid Christmas Tree Decoration with Crystal Rosary Beads. Holy Family Pyramid Christmas Tree Decoration with Crystal Rosary Beads. 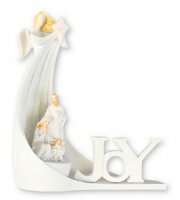 Joy Angel Christmas Nativity Set. 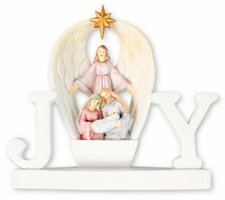 Angel with Star and 3 Nativity Figures "JOY ". 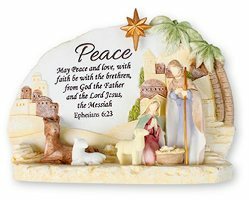 Colorful Christmas Nativity Plaque with Light. Resin Nativity Set with 3 Pieces & Light. 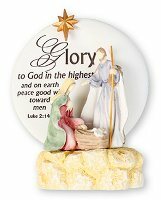 Round Nativity Ornament Glory to the God in The Highest. 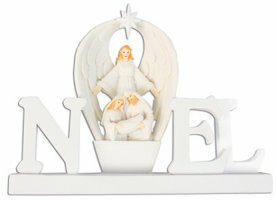 Christmas Noel White Finish Nativity with Light. 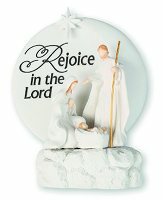 Round Nativity Ornament Rejoice in the Lord with Light.